Rapid’s success in finalizing the Gauracs deal could open the road for the club’s surpise from the first half of season, Alexandru Ionita (20), to FC Koln. The interest for the talented centre forward became public yesterday, when the Bucharest side received an offer of 1.000.000, 1.500.000, 2.000.000 EUR and, at that time, in spite of the serious financial struggle of the club, the boss George Copos still claimed that the player wasn’t for sale. The press announces today that FC Koln’s offer was raised to 2,5 mil. EUR and that the 1.Bundesliga club finally convinced Rapid’s owner to accept the deal by allowing the player to stay at the Bucharest side until the end of the season. Claudinei Alexandre Aparecido Nei (29) looks set to join newly promoted Unirea Alba Iulia, on a loan deal, until the end of the season. The Brazilian forward never looked good enough for CFR or any other team fighting for the title and, in case the deal will be finalized, he’ll meet in Alba Iulia three former colleagues from Cluj, Rade Veljovic (24, striker), Andres Felipe de Souza Galiassi (29, central defender), Vitinha (23, left back), who are also on loan, until the summer. Nei played a lot in the first half of the seasons, but scored only two goals in fourteen appearances in the league. Apparently George Copos, the owner of Rapid Bucharest, refused a tempting offer for the promising centre forward Alexandru Ionita (20). Promoted from the youth squad at the beginning of the season, Ionita scored 6 goals in the league already and also collected three call-ups to the U21 national team. The offer was higher than 1 mil. EUR and arrived at the club through FIFA agent Traian Gherghisan. According to the press, Ionita earns only 2.000 EUR / month, while the decision of Copos is rather strange, given his recent financial struggles and the desire to sell the club. With Rui Duarte (29) still just a transfer target and while waiting for Polish international Pawel Golanski to extend the contract that is running out in the summer, Steaua is also looking at the possibility to get back George Ogararu (29), from Ajax Amsterdam. Already transfer listed by the Dutch club, Ogararu refused a move to Roda and says that he won’t have a problem in convincing the club to release him on a free transfer, as he’s currently still getting 700.000 EUR / season. Cristian Daminuta (19) is trying to take back previous statements released in the Romanian press, which have angered Inter Milano’s officials. Now training with Dinamo Bucharest, Daminuta was quoted saying that he never wants to return to Inter, but now he says that he was only angry about the unfair balance in the press between his agitated nightlife and good performances for the Primavera squad. Of course, he added that it would be a dream come true to play for Inter (probably thinking about the expiring date of his contract, which is June 2013, and the chance of a looong suspension). Although he made his debut in the Romanian first division when he was only sixteen, the defensive midfielder / central defender played only five games as a senior so far – two for Timisoara and three for Modena, in Serie B, where he was loaned by Inter. Dayro Moreno (24) seems destined to continue playing in Romania, where he recently said that he will refuse to return. 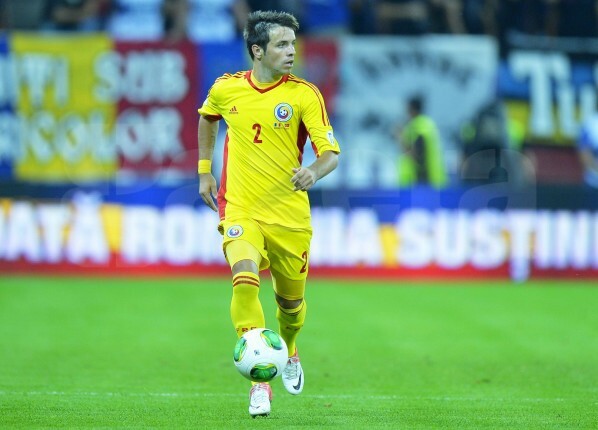 He did return, last night, and it seems that the negotiation with FC Timisoara will go very smoothly. The Viola club has already an agreement with Steaua over the transfer fee (450.000 EUR plus taxes), while the Colombian attacking midfielder will have the chance to earn 12.000 EUR per month, 7.000 EUR more than he was getting paid at Steaua, after he suffered an important wage cut earlier this season. Cristian Fabbiani (26) will have to find quickly another club or he will have to return against his will in Romania, in order to respect his current deal with CFR Cluj. Not that he’s wanted there, but the player’s agent Luciano Duthu knows it’s the only way his client will get paid and, at the same time, won’t risk a suspension. And he will get paid well!, because El Ogro earns at CFR 350.000 EUR/season, a deal signed in 2007 and justified only in the first season, when the centre-forward scored 11 goals in 28 matches. Overweight and attitude problems forced two consecutive loan deals, to Newell’s Old Boys (5 goals in 15 matches) and River Plate (2 goals in 25 macthes), and without having them solved in the meantime, the Argentinian has no future at CFR Cluj. Although Steaua’s attacking midfielder Dayro Moreno recently stated that he refuses to return to Romania and hoped for a move back to Once Caldas, it seems that the Colombian club cannot afford the only terms accepted by the Bucharest side. So Moreno might change his mind once he’ll find out that FC Tumisoara, another title contender, is ready to pay 550.000 EUR for him. The Viola outfit has asked FIFA agent Daniel Stanciu to get in touch with the player’s agent and present the huge salary 180.000 EUR per season (at Steaua his wages had been cut to 60.000 EUR). A contract will be signed though only after Moreno will discuss face to face with coach Ioan Ovidiu Sabau, who will have to be convinced that the Colombian talent can and is willing to change his atitude. The players have been brough by FIFA agent Marcel Popescu and the Montearreo agency.